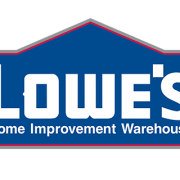 Northern California has ordered the North Carolina-based Lowe’s Home Centers, LLC, to pay $18.1 million as part of a civil settlement for environmental violations. The judgment is the culmination of a civil enforcement lawsuit filed in Alameda County alleging more than 118 Lowe’s stores throughout the state improperly handled and disposed of hazardous waste and materials over a six and a half year period. The materials illegally disposed of included – pesticides, aerosols, paint and colorants, solvents, adhesives, batteries, mercury-containing fluorescent bulbs, electronic waste and other toxic, ignitable and corrosive materials. There are two Lowe’s stores in Fresno County; both were involved in the hazardous waste violations. Under the settlement, which includes a permanent injunction against Lowe’s, the company must pay $12.85 million in civil penalties and costs. An additional $2.075 million will fund supplemental environmental projects furthering consumer protection enforcement in California, and Lowe’s will fund hazardous waste minimizing projects of $3.175 million.